Photography courtesy of Lindsie Grey. Our dresss hail from locations all over the world. With an inclusive price point ranging from affordable to couture, we pride ourselves on having the dress for every kind of Bride. Designers include Enzoani, Maggie Sottero, Sottero & Midgley, Kenneth Winston and much more. When you shop with Élisabeth & Beau you’re apart of the family! We make every appointment as genuine and personalized as can be. 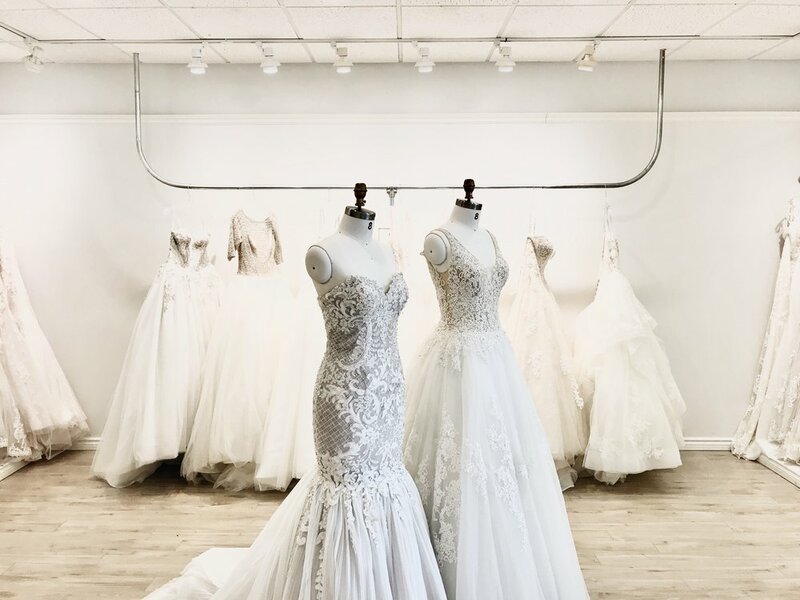 Whether you're shopping for a wedding gown, bridesmaid dress or accessories, we cater our services at a very high standard. We love making a lasting impression on everyone who walks through our doors. Accenting our lush interior with a friendly, positive and sincere energy, we create a comfortable and elegant environment that makes shopping and incredible experience for anyone that steps foot into our shop.